Marie Smith, my high school English teacher, would not have guessed someday I’d write books. She was the school’s creative writing teacher, who I’d been assigned to when the Advanced Comp teacher realized I was never even going to spell correctly on his watch. She showed me that writing can come from the heart even if not spelled longhand in a way others could understand. Her lessons prevailed. While many things can be said about my books, they all come from my heart. Here’s a short description of four where I was the primary author. I’m working on a fifth, about human ingenuity. On this site there are detailed pages (some with excerpts and more) you can reach by clicking on each book below. 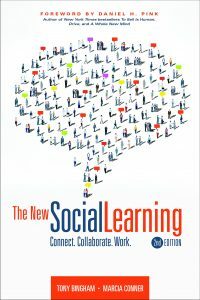 The New Social Learning: Connect. Collaborate. Work. 2nd Edition (2015) by Marcia Conner and Tony Bingham, forward by Daniel H. Pink. The New Social Learning: A Guide to Transforming Your Organization Through Social Media (2011) by Marcia Conner and Tony Bingham, forward by Daniel H. Pink. Most business books on social media have focused exclusively on using it as a marketing tool. Many employers see it as simply a workplace distraction. But social media has the potential to revolutionize workplace learning. People have always learned best from one another—social media enables this to happen unrestricted by physical location and in all kinds of extraordinarily creative ways. 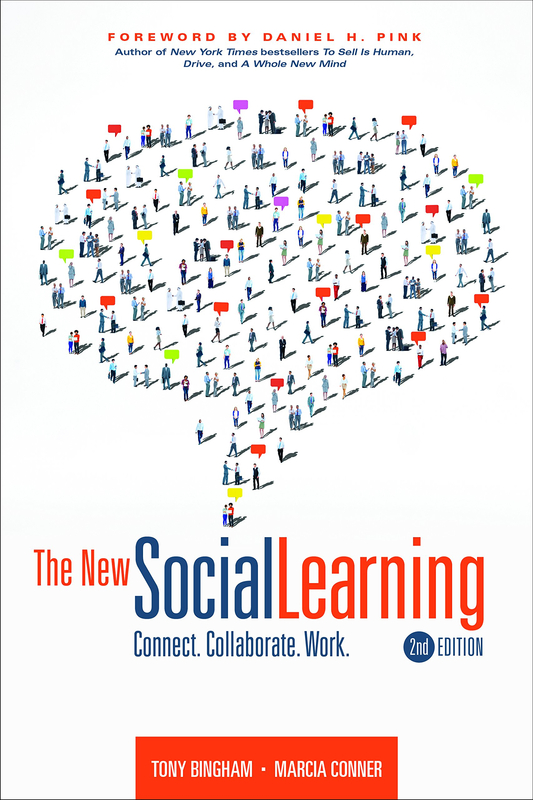 The New Social Learning is the most authoritative guide available to leveraging these powerful new technologies. Tony Bingham and Marcia Conner explain why social media is the ideal solution to some of the most pressing educational challenges organizations face today, such as a widely dispersed workforce and striking differences in learning styles, particularly across genera-tions. They definitively answer common objections to using social media as a training tool and show how to win over even the most resistant employees. Then, using examples from a wide range of organizations—including Deloitte & Touche, IBM, TELUS, and even the CIA—Bingham and Conner help readers sort through the dizzying array of technological options available and decide when and how to use each one to achieve key strategic goals. Creating a Learning Culture: Strategy, Technology and Practice by Marcia Conner and James G. Clawson (contributing editors), Douglas K. Smith (Foreword); John Seely Brown and Estee Solomon Gray (Introduction). Chapters on strategy, practice, and technology demonstrate how to achieve immediate lasting results by encouraging curiosity and learning at all levels of the organization. Profiles of organizations (including General Motors, Home Depot, and WD-40 Company) using learning-focused approaches, accompany leading-edge research into how and why people best work together when learning as they work. This book is intended for business leaders and educators seeking innovative approaches to cultural transformation, with learning at the center of their corporate strategy. 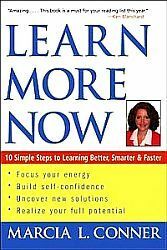 Learn More Now: 10 Simple Steps to Learn Better, Smarter, and Faster by Marcia Conner. We’re all born with a vast capacity to explore and learn. Unfortunately, many of us never discover what we’re truly capable of. What if you could reclaim your birthright and tap into your full potential for learning? Imagine how much you could accomplish–how much you could become. Here’s your chance to find out. Through her innovative learning programs, Marcia Conner has helped thousands of people unleash the power of their intuition to rediscover the joy of learning and to expand their personal and professional productivity.